Sometime after the Cleveland Browns signed Kareem Hunt in February, running back Duke Johnson asked the team to trade him. But listening to the Browns&apos; general manager, it doesn&apos;t sound like Johnson will be going elsewhere anytime soon. 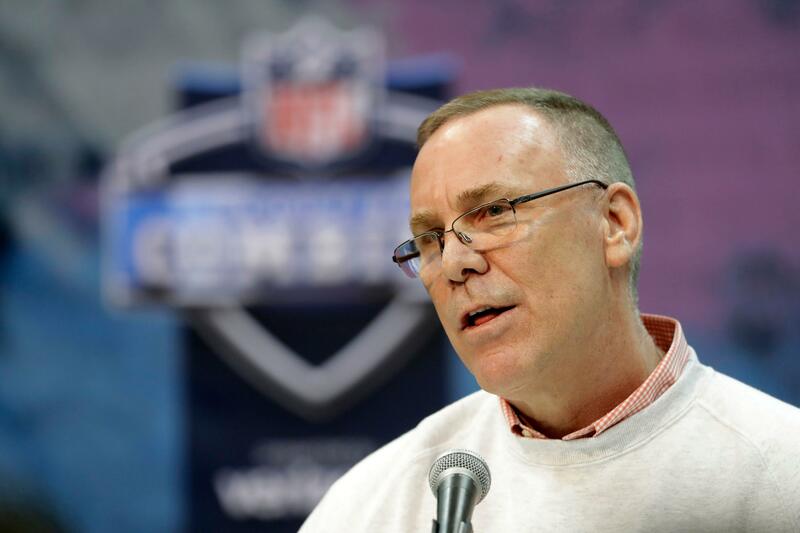 John Dorsey: &apos;He&apos;s a vital part of the offense&apos; GM John Dorsey met with media on Thursday and was asked whether Johnson&apos;s trade request changes anything with how the Browns view the 25-year-old back. Odell Beckham might have seen a schedule, but it doesn&apos;t appear he saw the correct schedule. The Browns will host the Titans in the season opener at 1 p.m. ET on Sept. 8, Paul Kuharsky of paulkuharsky.com reports. A previous report has the Browns playing the Jets on Monday night, Sept. 16, in Week Two. The New York Giants kept two-time Super Bowl MVP Eli Manning in the dark until recently about his future with the team, and didn&apos;t give him a warning about the trade of star receiver Odell Beckham Jr. to the Cleveland Browns. Speaking as organized team activities started Monday, the 38-year-old quarterback said the Giants informed him a month ago that he would be returning for a 16th season. The stunning news of the Beckham deal came secondhand: Manning read it on a crawl across the bottom of his television screen. Posted in Cleveland Browns | Comments Off on Will Oklahoma QB Kyler Murray have a better rookie year than Cleveland Browns QB Baker Mayfield? After shipping superstar wide receiver Odell Beckham Jr. to the Cleveland Browns in a stunning trade, the New York Giants made sure Eli Manning had his second-favorite target locked up for years to come. The Giants on Friday signed Sterling Shepard to a four-year contract extension that will pay him roughly $41 million. &apos;&apos;I&apos;m just excited,&apos;&apos; Shepard said. Every team has the prospect of coming out of the NFL Draft with a star player added to their roster Parity is, of course, a key aim of a draft that allocates the first pick of the college players who declare (they have to be three years out of high school) to the worst team, and proceeds through the league in reverse order with the Super Bowl winner picking last in each of the seven rounds. This doesn&apos;t prevent teams like the aforementioned Patriots from winning consistently, or the likes of the Cleveland Browns and the Oakland Raiders from losing most of the time. You still have to pick the right players. NFL Network&apos;s Omar Ruiz explores how the Cleveland Browns&apos; offseason moves have positioned them heading into the 2019 NFL Draft. Colin Jost and Michael Che got more than they bargained for when they agreed to be special correspondents for WrestleMania, WWE&apos;s biggest event of the year. Last night&apos;s show — the first ever to be headlined by a women&apos;s match — once again included the Andre the Giant Memorial Battle Royal, a free-for-all in which some 30 performers start inside the ring and the last man standing wins. Unfortunately for the “Saturday Night Live” co-head writers and “Weekend Update” anchors, they got added to that match after angering WWE&apos;s Braun Strowman in recent weeks. The Miami Dolphins have reached a one-year deal with former Cleveland Browns wide receiver Ricardo Louis, according to multiple reports. A fourth-round pick by the Browns in 2016, the 6-foot-2, 215-pound Louis missed all of last season with a neck injury that he had surgically repaired before training camp. The two seasons prior, Louis appeared in all 32 games with 12 starts, catching 45 passes for 562 yards. You are currently browsing the archives for the Cleveland Browns category.